Sandy Kleven's complete resume is provided here. Summary: Currently, working as a behavioral health consultant a primary care center serving Alaska Native populations. Author of two sexual abuse prevention books for families, The Right Touch and Talk About Touch: Alaska. The setting for the second book is a native village. Extensive cross cultural experience in Alaska native villages and in the diverse community of Anchorage, Alaska. I am also the author of many articles relating to families, children and rural Alaska. I am also a poet and essayist. University of Alaska, Anchorage, Alaska, (2010), Masters in Fine Arts, Creative Writing (poetry). Creative work has been published in Alaska Quarterly Review, Oklahoma Review and Topic Magazine. Content of writing often pertains to social work issues and rural Alaska experiences. Eastern Washington University, Cheney, Washington, Masters in Social Work (1989), Assistant Instructor, School of Social Work. Supervisor of undergraduate students in practicum settings. Editorial assistant, Human Services in the Rural Environment. Western Washington University, Bellingham, Washington, Graduate Studies (1984) Graduate Assistant, Human Services program Bachelor of Arts in Human Services completed in 1980. Southcentral Foundation, (2010 – present). Behavioral Health Consultant in a primary care clinic working alongside medical care providers and seeing patients in medical examination rooms. “Holding Our Own” (2007 – present), Founder and Owner, providing Behavioral Health consultation for Head Start programs throughout Alaska. Includes on-site observation, de-briefing, written narrative report, training and telephonic consultation for several Head Start grantee organizations including Tanana Chief’s Council. Yukon-Kuskokwim Health Corporation, Behavioral Health (2007 - 2009), Flying weekly from Anchorage, to serve as Village Clinical Supervisor, in Aniak, AK. Provided clinical services to twelve outlying villages. Supervised Behavioral Health Aides. Spent week-ends in Bethel, Alaska, prn, as the “on-call” Emergency Clinician. Anchorage Community Mental Health Services (2005 to 2007), Children’s Mental Health Clinician, Child Trauma Project. The position was located in the Office of Children’s Services building. Prepared behavioral health assessments of children who came into state custody through child protection. Denali Family Services (2005), Children’s clinician, providing a full array of behavioral health services to children and their families. Contractual position. Yukon-Kuskokwim Health Corporation, Behavioral Health (2002 - 2004), People Working Together, Substance Abuse and Mental Health Services Administration (SAMHSA) project: to create a system of care for children with mental health needs across the Yukon-Kuskokwim Delta. Carried three titles: Trainer, Communications Specialist and Technical Assistance Provider. Served eight sub-regional village teams, including village-based clinicians, behavioral health aides, traditional counselors, and family advocates. Wrote quarterly grant reports. Spent about 50% of work time in village settings, sleeping in clinics and working with village based staff and resources. Provided assessment of clients, training of village staff, and quality assurance oversight. Made presentations at national conferences on aspects of the project accompanied by local recipients of services (San Francisco, Portland, Tulsa). Worked with team to assure compliance with all Medicaid regulations and to maximize collections to insure continuation of services beyond the period funded by the grant. As Communications Specialist, developed presentations utilizing Power Point and story board technologies. Trained at SAMHSA’s Communications Academy (2002 and 2003), in social marketing strategies to promote program, then worked with staff to build their skills in public speaking, working with the media, and emergency communications. Developed and coordinated a Bethel conference providing the same content as the SAMHSA training. Concurrently, worked extra hours (week-ends) as “On call” Clinician for Emergency Services department and as Staff Clinician at RDT (Residential, Diagnostic, Treatment) which provides short term care for children in crisis. College of Rural Alaska, adjunct faculty, Kuskokwim Campus (2001-2005) Taught Psychology 101 and Developmental Psychology. Also taught DEVS 101, and worked in Adult Basic Education, assisting and supporting Pre-GED students. University of Alaska, Anchorage, School of Social Work, Family and Youth Services Academy (2001- 2002), Fetal Alcohol Spectrum Disorder Trainer, curriculum development project. Yukon-Kuskokwim Health Corporation, Behavioral Health (1998 - 2001), Rural Human Services Coordinator (1999 - 2001). Manage overall operations of the program including student recruitment, instruction, curriculum development, and maintenance of network ties across the region and state. Coordinate closely with the University of Alaska Fairbanks, College of Rural Alaska, Kuskokwim Campus providing certificate training to village-based counselors. Hired initially as a Children’s Clinician, 1998 – 1999, to provide assessment, treatment and "on call" services. Provide village crisis intervention and debriefing. Member of interdisciplinary team. Valdez Infant Learning Program (1997- 1998) Early Intervention Specialist. Worked with children birth to three. Provided screening, evaluation and assistance to prevent learning and developmental delays. Center/Peace (1997- 1998) Clinical private practice in counseling and support services. Published The Right Touch: A Read-Aloud Story to Help Prevent Child Sexual Abuse. This is currently the best-selling sexual abuse prevention book in the country. It has also been published in Korea and China. Valdez Regional Health Systems (1997) Contract medical social worker, providing various mental health counseling and support services. Valdez Counseling Center (1991 - 1997) Clinician. Providing mental health treatment and case management services to individuals and families. Facilitating group therapy. Member of the Critical Incident Stress Debriefing Team. Coordinator Drug and Alcohol Treatment Program. Carried out all elements of outpatient treatment program including assessment, planning, group treatment, and record keeping. Coordinator Young Parents Empowerment Program, a grant funded project developed to meet the needs of young parents. Prince William Sound Community College (1993 - 1997), Adjunct Faculty, Field Instructor, Human Services Program. Taught Psychology, 101, Paraprofessional Counseling, and Human Relations. Served as Field Instructor supervising Human Services interns. Eastern Washington University (1989 - 1991) Coordinator, Single Parent Project (SPP), a United States Department of Education grant program. SPP assisted low income single parents in attaining a four year college degree so they could leave public welfare rolls. Responsibilities included program development, evaluation, grant writing, staff supervision, special programming, and individual counseling. Community development methods were used to create a broad based support system for the students and their children. Additionally, served as Adjunct Faculty in the School of Social Work, teaching Indian Child Welfare Policy and a self-developed course, Theatre in Social Work. Spokane Community Mental Health (1989), Clinician, Center for Drug Treatment. Carried a case load of 15 - 20 adult individual outpatient clients. Facilitated weekly orientation/education group. Worked with children (ages four to twelve) from families where one or more parents were identified as drug abusers. Ran up to four therapy groups, weekly, to address the needs of these children. Southwestern Alaska Council for the Prevention of Child Sexual Abuse, Bethel, Alaska (1986 - 1987), Coordinator. Handled all aspects of program management. Supervised two staff members. Provided counseling to children and families. Flew to remote villages to provide assistance and education. Phillips’s Alcoholism Treatment Center, Bethel, Alaska (1984 - 1986), Substance Abuse Counselor. Provided individual, group, and family counseling in both residential and outpatient setting and facilitated inmate treatment program at the Yukon Kuskokwim Correctional Center. Coalition for Child Advocacy, Bellingham, Washington (1979 - 1984), Supervisor. Founded and directed The SOAPBox Players, an Emmy award winning theatre group which taught sexual abuse prevention skills through the use of theatre. Wrote all the material presented by the group. YWCA, Battered Woman’s Project, Bellingham, Washington (1978-1980) VISTA Volunteer. Coordinated advocate program, provided staff and community education, and managed crisis management services. Board of Directors, Alaska Youth and Family Network, (2009)- 2010). Licensed Clinical Social Worker (1994) State of Alaska, # 257 (current). Certificate (1993) Clinical Hypno-therapist, The Wellness Institute, Issaquah, Washington. Member (1988), National Social Work Honor Society, Alpha Delta Mu. President, Board of Directors, (1992 – 1994) Advocates for Victims of Violence. Celebration Foundation Award to support creative work (2006 and 2008). Graduate Fellowship (1988), Eastern Washington University. Honorable Mention, (1997) “Holy Land,” native themed play, Last Frontier Theatre Conference, Valdez, Alaska. Emmy Award (1980), “The Touching Problem” National Academy of Television Arts and Science. Talk About Touch: Alaska, pending. “For Jon, Once My Brother” Oklahoma Review, (2009). “Bad Rap, How to Stop Alaska’s Teens from Killing Themselves,” Topic Magazine, New York City (2006). Holy Land, HeartWorks Press, Anchorage Alaska (2006). The Right Touch: A Read-Aloud Story To Help Prevent Child Sexual Abuse (1999), Illumination Arts, Bellevue, Washington. “Among the People of the Tundra” Human Services in the Rural Environment, (1990). “Talk About Touch” (1987) A sexual abuse prevention aid designed for rural Alaska. Touching (1985), First version of The Right Touch. A children’s book aimed at helping parents protect their children from abuse. The Touching Problem (1980), A collection of scripts teaching sexual abuse prevention. Periodic contributor to the Bethel, Alaska, weekly, Delta Discovery on subjects related to living well and parenting. Developed and presented at conferences, workshops and/or as staff training. “Suicide Prevention: the Scammon Bay Rappers“ Rural Alaska Mental Health Conference (2004). “Frontier Alaska: Challenges Facing Village Youth” (2003), National Indian Child Welfare Association Conference, Portland, Oregon. “Holding Our Own: The Wraparound Approach to Helping” (2003), presented in the Y-K Delta to various groups. “Shaquille the Seal Hunter” (2002) Treating Rural Youth in Urban Settings – presented for NASW, continuing education, Anchorage. “Chop Wood, Carry Honey Buckets” (2002), An orientation for workers new to the Alaska Bush, presented for NASW, continuing Education, Anchorage. “Rural Alaska: Follow Up to Tragedy” (2001), National Association of Social Workers Conference, Anchorage, Alaska. “Like an Animal In Australia: The Strange Evolution of the Rural Generalist,” State of Alaska, Children’s Mental Health Conference (1996). “Empowerment through Community Building,” University of Washington, School of Social Work, Bertha Capen Reynolds Conference (1994) and National Association of Social Workers Conference, Alaska. “The Single Parent Project at Eastern Washington University” (1990), University of Kentucky, Single Parents in Higher Education Conference. “Research Outcomes in Pre-School Prevention” (1984), National Association for the Education of Young Children Los Angeles, CA. “Sexual Abuse Current Issues” facilitated all elements of this regional, Washington State conference for five consecutive years. 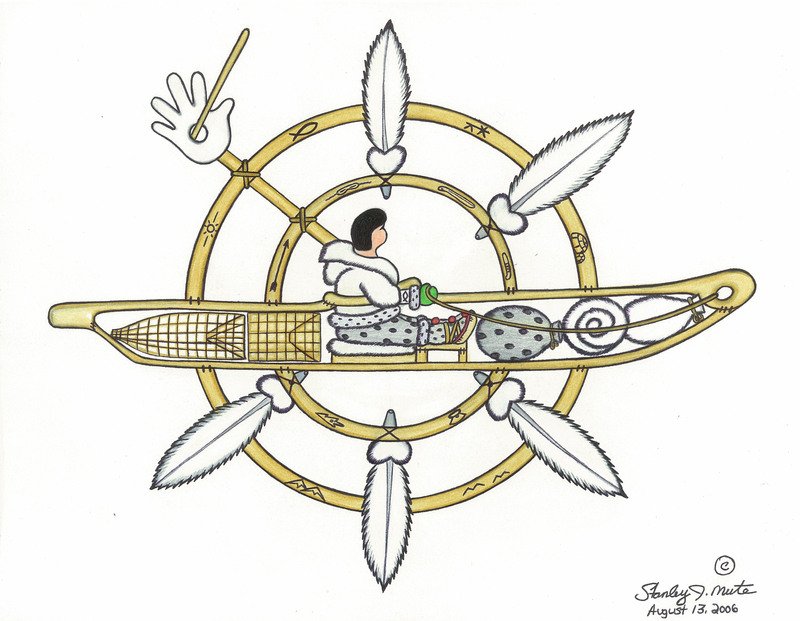 Ethics, Yukon Kuskokwim Health Corporation, (2008). Spokesperson Training, training of trainers, St Louis, MO, 2002, Tulsa, Oklahoma, 2003. Blackboard I and II, Distance delivery methods, University of Alaska, Anchorage, 2002. Training in specific computer applications: Photoshop, Adobe Acrobat, Power Point, 2002 Since entering this field in 1978, I have received more than 4000 hours of in - service training in case management, program management, supervision, family issues, addictions, crisis response, community development, clinical techniques, child abuse prevention and treatment, Medicaid compliance, multicultural services, communications, and computer technologies. Photography, graphics, dance, literature, cultures of rural Alaska, history of Alaska, system reform.